Keep in mind that not only are applications, music or multimedia content such as photos and videos that occupies space in our iOS terminal, as happens in any device with an operating system and a storage unit. When surfing the internet, Safari is keeping some information in reference to our various sessions of browsing through it, like a cookie or content of each of the pages you visit. Today, from EsferaiPhone you want to get a few simple steps that you may be able to delete this information, in most cases useless, from your terminal. The entire procedure is carried out from the device itself. 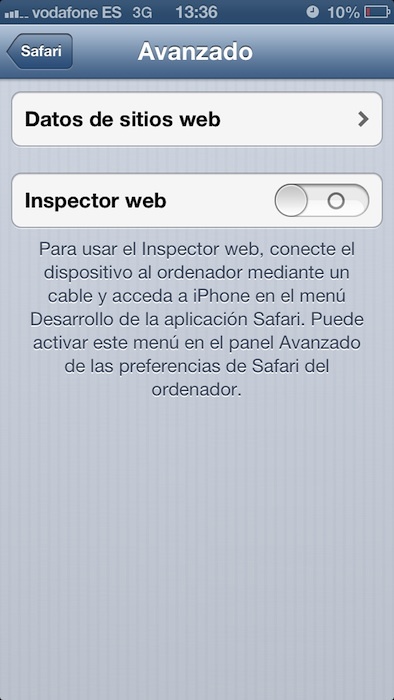 Open the application "Settings" and select the tab "Safari". We went to the last tab called "Advanced" and, once deployed, select "Data websites". 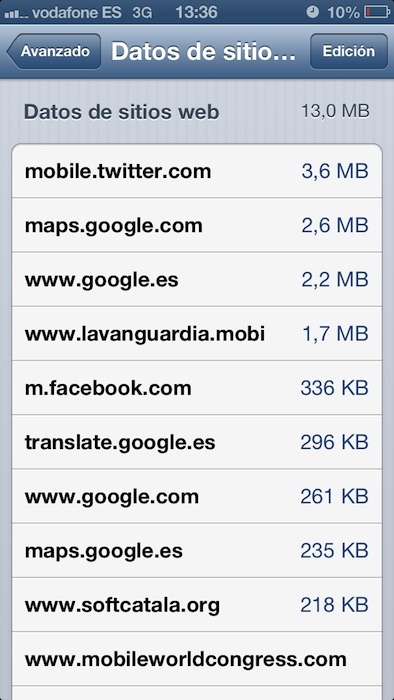 Here is where you will find a list of websites that are consuming space on our device. We can manually delete them in the same way that messages are deleted or selecting the "Edit" button and pressing the icons on the left. If, however, our desire is to remove the information from all web pages stored on the terminal, just have to go until the end of the list and select "Delete all data". It is important to note, that carrying out this procedure, it implies that the information that enables automatic or direct access to web pages that require some type of password are eliminated, so we introduce them again to access our accounts always under Safari, not from specific applications of these pages.